Have you ever wondered what’s found in the outer reaches of our solar system? It turns out many, many objects orbit the sun out past Neptune. Called trans-Neptunian objects (TNOs), these frozen bodies were formed at the same time as the rest of our solar system – making them close to four and a half billion years old. Determining the sizes of these objects will help us better understand their formation and composition, and could tell us a great deal about the origins of our solar system. 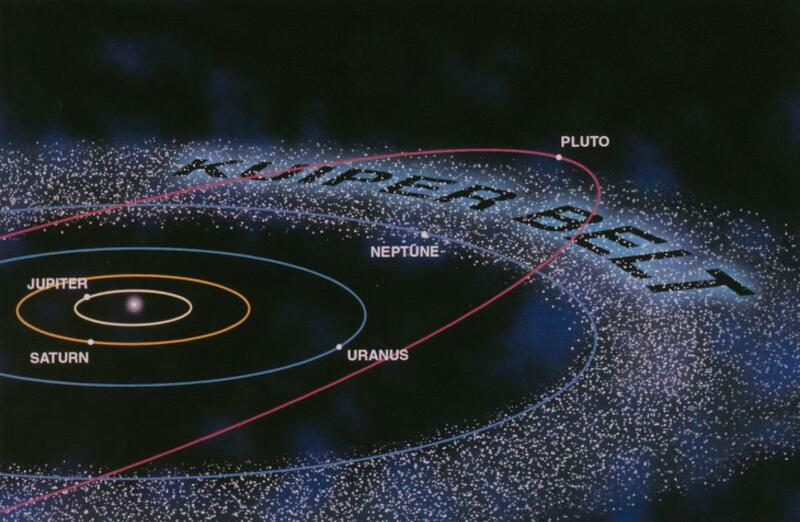 One population of these objects is called the Kuiper Belt, shown in the cartoon diagram below. The Kuiper Belt is a disc-shaped region of icy bodies located beyond the orbit of Neptune. Pluto was the first Kuiper Belt Object (KBO) discovered in 1930. Since 1992, we have discovered over a thousand KBOs and it is estimated that there are more than 100,000 objects larger than 100km in diameter in this region of our solar system. Our goal is to measure the sizes of a particular category of these objects known as “cold classical KBOs.” These objects are in nearly circular orbits around the sun that have likely not been altered since the formation of the solar system. To measure the size of a TNO, we use the shadow it casts on Earth as the TNO moves in front of a distant star – an event called an occultation. Check out this video of an asteroid occultation, in which a star turns off briefly as a much closer asteroid passes in front of it. We intend to determine the sizes of a sample of cold classical KBOs using this occultation method because these objects have been particularly difficult to measure using other techniques. Making precise measurements of an occultation event from different, nearby locations on Earth, we can determine the size of the object. This is where communities across the Western United States can help us out! Each community within our network receives a telescope and video camera system and training on how to record occultations. During predicted occultations, every observation site points their scope to a specific target star in the night sky and records the star using the camera system. 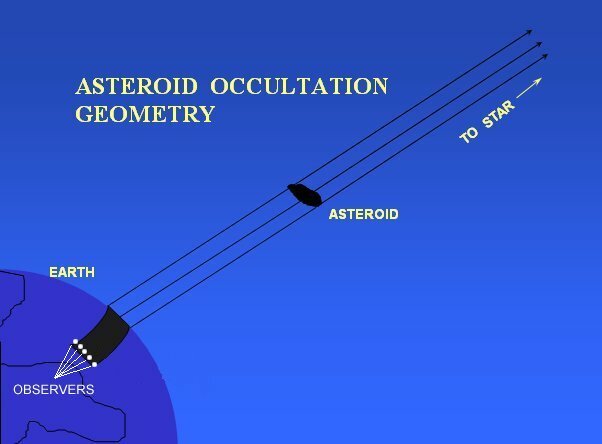 As the KBO moves in front of the star, observers within the path of the KBO shadow will witness the star light be blocked during the occultation. 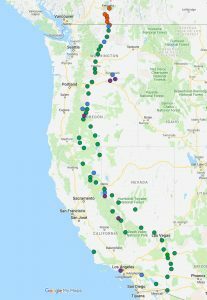 Our project currently consists of a linked network of 64 telescope sites stretching from Kelowna, British Columbia in Canada to Yuma, Arizona in the USA. The project was piloted between 2012-14 with 14 communities located north and south of Reno, Nevada. The network was expanded in Fall 2014 to stretch between the US borders with Mexico and Canada and further expanded in Summer 2018 to Canada. To learn more about our different communities check out an interactive Team Map. To learn more about the RECON Project and ways you can participate, please complete our RECON Interest Survey. Also, if you know of others who might be interested, feel free to help us get in touch by completing the RECON Referral Survey. We are discovering more about our solar system – and we couldn’t do it without the help of our citizen scientists.